over 300 session-hours to learn from our instructors—over 120 of the best in the world! departures . . . the adventures begin—where do you find it? it includes maps, schedules and all the info you need to plan for your weekend at the Expo. Details about Overland Expo WEST, near Flagstaff, AZ in May 2017, will be available in November 2015.
. . . is confirmed for 2016 EAST. Once again, Land Rover Experience is sponsoring the Overland Driving Course at the Biltmore Estate. The course will be staffed by a dozen of the top overland driving skills trainers in the world to provide custom-tailored skills instruction. Note: Land Rovers are not loaners; they are for brief test drives only. There are no on-site rentals. Overland Experience registrants have access to the Overland Driving Course using their own vehicle (or can use a provided test vehicle) as well as classes taught by the Land Rover Team. Weekend Pass attendees may sign up for a test drive using a Land Rover provided vehicle, with a Land Rover instructor.
. . . are returning for 2016 EAST. Anchoring Motorcycle Village will be Eurosport Asheville. RawHyde will take center stage with top-notch instructors, teaching classes for all levels of riders, at the custom built Motorcycle Skills Course. Overland Experience registrants can sign-up for beginner or advanced riding classes, adventure motorcycle skills clinics and rides. Weekend Pass attendees and everyone can observe the motorcycle demos that are held in the area; and swing by Motorcycle Village.
. . . is returning for an even bigger 2016 EAST. Get ready to be blown away by our Camel Trophy Expedition Skills Area. Combining driving with hands-on instruction in a dynamic format will allow you to custom-tailor specific overland skills training in several areas: Recovery, Driving Skills, Maintenance and Repair, and Static skills. Classes will range from winching, rope-work and lashing, recovery, specialty substrates, spotting, bush skills, and more. Want to know how to get unstuck with only what you have on hand? The fundamentals of winching? Arm yourself with the best tool in the tool box . . . knowledge. Overland Experience registrants can sign up for hands-on participation during exclusive classes taught by the Camel Trophy Team. Weekend Pass attendees and everyone can observe the activities held in the area. Duncan Barbour at our 2012 Camel Trophy Skills Area, spotting the first vehicle over the log bridge. The team also built a raft with registrants' help, and floated a vehicle across the pond. Our training pavilions get you out of the classroom and into the field. Each year we bring you an assortment of technical classes essential for overlanding. We try to cover everything from how-tos about electronics to hands-on maintenance repairs to showing how to set up gear and what to take with you (and sometimes leave behind). Overland Experience registrants only will have unlimited access to instructional classes in the Hands-on Training Pavilions. We have three classrooms dedicated to overland-specific instructional classes. The program offerings change every year, but annual categories include: Planning and Logistics, Navigation, Communication, Photography & Videography, Cooking, and Health, Safety & Security. Overland Experience registrants only will have unlimited access to classes and workshops. Stop by the Overland Theater to watch and listen to fellow overlanders share their experiences. Each year we offer a new selection of slideshows featuring trips from around the world. Check the schedule this year to see where you'll be inspired to go next. For Friday and Saturday evenings, we host a special lineup of films at the Overland Theater, from 7-10 pm. Slideshows, Films and evening programs are open to everyone. Want to know more about Africa? Australia? Mongolia? The Americas? From Regional Q&As to expert tips, the roundtables can help you plan for the trip of a lifetime. Come by and listen to panelists who have extensive experience. Learn from their successes and mistakes, or just enjoy their tales. You’ll be inspired to collect your own. Roundtables are open to everyone. Life Remotely roasting mean like a caveman. Want to see how other overlanders have modified their rigs? Then, take a look at our "My Perfect Overland Vehicle / Moto" series in the Demo Area. Check out vehicle and moto customizations that have been put to the test of time and miles; ask questions. Many will also share tips on how to travel. Seminars and demos are open to everyone. Want to know how a specific product works? The exhibition area is the place to be. Check the schedule for times of detailed demonstrations. Bring your family! We offer programs specifically tailored to adventurous kids and their parents. This year we bring you a weekend packed with programs for kids, by kids. Kids Adventure activities and seminars are open to everyone. Which classes and programs can I attend? Open to everyone (Weekend Passes and Overland Experience packages): Roundtables, Demos, Seminars, Slideshows, Films, and Kids Activities. Overland Experience registrants will receive a detailed Program Guide after registration, which includes a complete program schedule with times and locations for your class selections. We do not publish the schedule online since it is reserved for registered students only. Most classes are offered more than once to accommodate the demand for popular classes. Weekend Pass attendees will be able to download a printable schedule of activities open to everyone. Anything marked as Class or Advanced Class is open to Overland Experience registrants only. 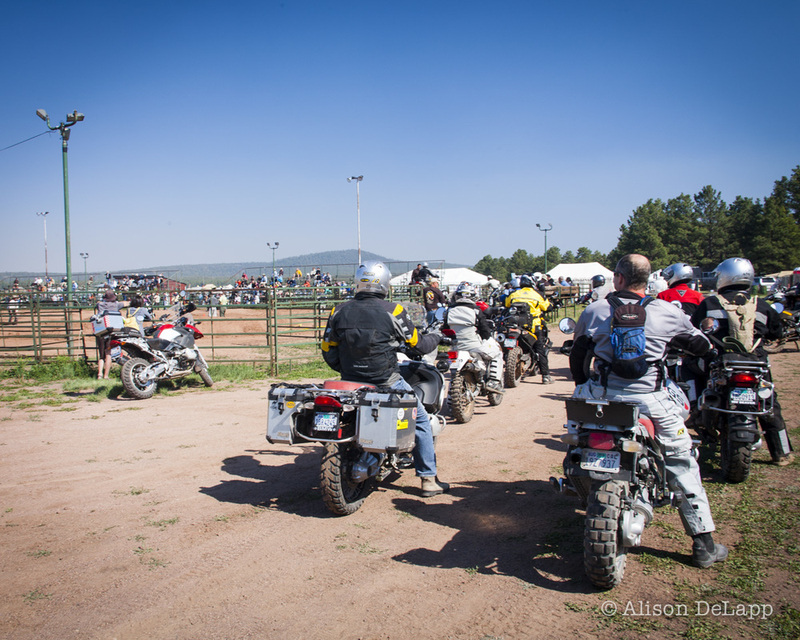 are open to Weekend Pass and Day Pass attendees as well as Overland Experience registrants.